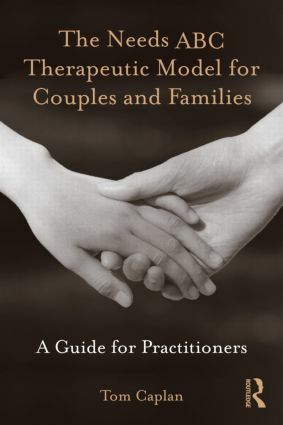 The Needs ABC Therapeutic Model for Couples and Families: A Guide for Practitioners shows readers how to successfully tailor a therapeutic approach to meet the needs of couples and families. Beginning clinicians will come away from this book with concrete, practical skills and expanded theoretical base for their practice. They will be able to apply their new knowledge directly and in ways that will help them create long-lasting change in clients who present with difficult behaviors. The book explains the concepts and theories behind the Needs ABC approach and provides tangible methods with which to integrate aspects of the Needs ABC approach into the therapists' own therapeutic techniques. Practitioners will find that the Needs ABC model is an invaluable complement to cognitive-behavioral, integrative, and other therapeutic models, as well as a general guide to couples and family therapy.